After my first fast made self balancing robot, I want to better understand it and especially to try different control methods. For me it is necessary to simulate the whole stuff on computer (robot + control law). 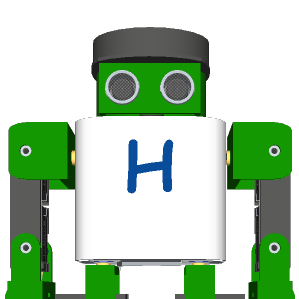 The first step is therefore to model the robot with mathematical equations. Because of the complexity of the model I do make some assumption and simplification. The inputs to the motor is the applied voltage and applied torque on the rotor. Above equation is valid for both wheels. On my first two-wheel self-balancing robot, I didn’t use the encoder for speed measurement. and then I could improve it by adding speed control, RC, etc. In L298N, each motor is controlled by a full bridge circuit (or H-bridge) composed of two legs. Following figure is a simplified diagram coming from wikipedia. S1 and S2 are always controlled in complementary manner. When S1 closes, S2 opens. S1 and S2 close simultaneously is not allowed since that creates a short circuit of the power supply. Idem for S3 and S4. When S1 and S4 close simultaneously, the motor rotates in one direction. When S3 and S2 close simultaneously, the motor rotates in the other direction. I use PWM control to set the motors’ speed. the switching frequency is about 1kHz which is the default value of Arduino module. to the robot (the two wheel motors). The PID controller is a complexe topic. With google you can find tons of material about it. understanding and tuning techniques, one can make it work very easily. copied from wikipedia. It works well for me. A sensor combining a gyroscope and an accelerometer is used to measure the tilt angle. The sensor don’t give the angle directly. Some calculation is needed. I use MP6050 as sensor. You can check its datasheet for more information. The accelerometer gives the acceleration (unit g) in three dimension. If the robot is perpendicular to the earth (z axis for example), you should have only Z axis which is not zero. 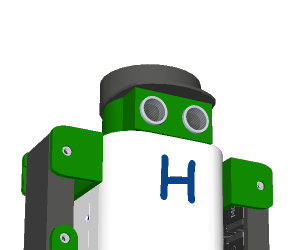 If you have another axis not equaling zero besides Z axis in static state, it means the robot has a none zero tilt angle. And you can get easily the tilt angle based on these two axis acceleration. However using accelerometer to get the tilt angle in this way is valid only for static state since we suppose that only gravity acts on the robot. 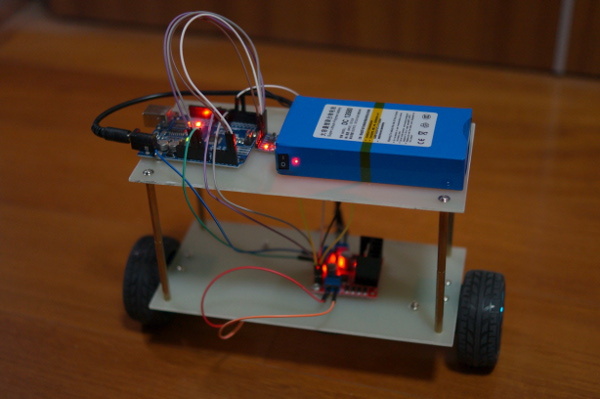 When the two wheels act a force on the robot, the accelerometer can measure the resulting acceleration as well! In consequence, the measures are very noised. The good point is it is accurate in long period of time (or in DC after filtering). The gyroscope measures the angle speed (unit deg/s) in three dimension. In order to get the angle, we need to do the integration of it. It is accurate dynamically (in short period). But the integration action accumulates the error of measurement, which makes the result drift in long period of time. The sensor communicates to the microcontroller through I2C bus. By using the WIRE library of arduino, it is easy to read the data. I use analogWrite function to set PWM duty cycle for the motor driver L298N. The command (PID controller’s output) is a value between -255 and 255. Positive sign means the robot moves forward. 255 represents the max speed (100% duty cycle for the first half bridge). I use anti-windup code to prevent the command to be higher than 255 (or lower than -255) which is the limit of PWM register (8 bits) max value. The calibration of the sensor should be done generally. I calibrated the gyroscope because I see big static offset. My accelerometer’s offset is not obvious. I use 10ms as sampling time. The total code has only about 50 lines which I believe possible to be optimized. It’s simple, right? The robot resists relatively well the disturbance from both sides. The stability and dynamic response are satisfactory. 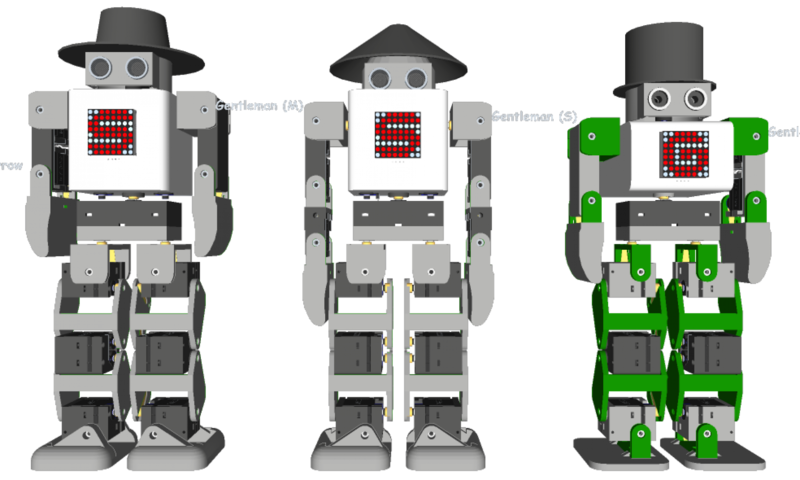 The next step is to install an encoder on each motor, to make the robot possible to move and to add a remote control. Following is a video of it standing still.